Customer Training Center of COMAC welcomes the first batch of overseas trainees__Commercial Aircraft Corporation of China, Ltd. 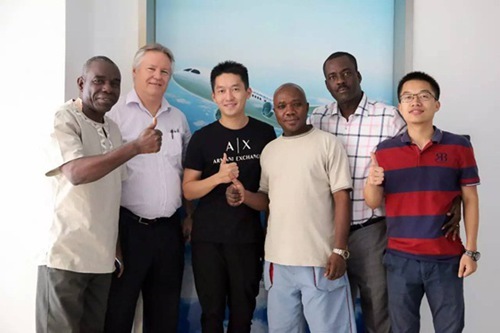 Recently, six inspectors from the civil aviation department of the Republic of Congo accepted ARJ21-700 type training in Shanghai. This is the first batch of overseas trainees received by Customer Training Center of Commercial Aircraft Corporation of China, Ltd. (COMAC) since its establishment. 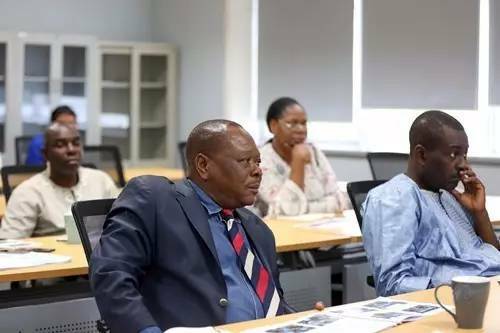 This training includes ARJ21-700 aircraft system knowledge and simulator training and aims to make National Civil Aviation Agency (ANAC) of the Republic of Congo have a further understanding of ARJ21 aircraft, laying the foundation for the subsequent flight training of airlines of the Republic of Congo. Recently, ARJ21-700 flight simulator obtained level D certificate issued by Civil Aviation Administration of China (CAAC). 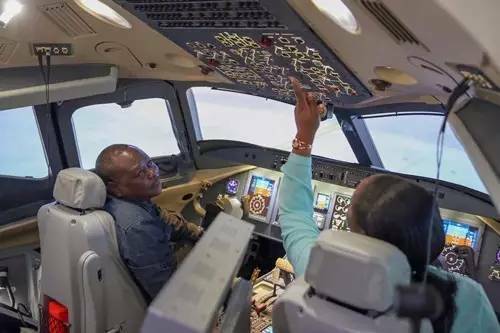 Pilot can fly ARJ21 aircraft directly on the route after completing type training on ARJ21 flight simulator, thus zero-flight-hour type training is realized. The Republic of Congo announced to order three ARJ21-700 aircraft on November 11th, 2014. Minister of Transport, Civil Aviation and Merchant Marine of the Republic of Congo granted an ARJ21-700 aircraft type certificate to COMAC on December 7th, 2016. A group photo of trainees.